Caerleon History Tours Historic SiteCaerleon History Tours can help you enjoy your visit to Roman and historic Caerleon and others heritage sites in South East Wales in the company of a local historian and archaeologist. Caerleon is one of the most interesting Roman sites in Britain. It was the fortress of the Second Augustan Legion and today visitors can still see the Amphitheatre, Roman Barracks and Fortress Baths. 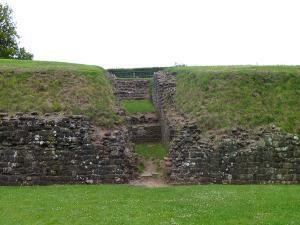 Caerleon has many links with the legends of King Arthur and the Amphitheatre is claimed to be the original Round Table. It has been the inspiration for many writers and poets, including Alfred Lord Tennyson.